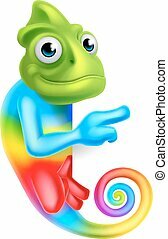 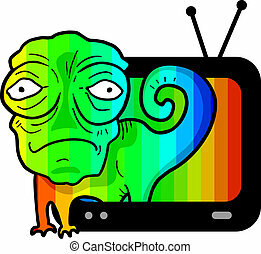 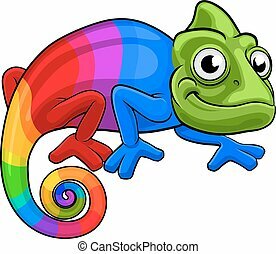 Chameleon cartoon rainbow character. 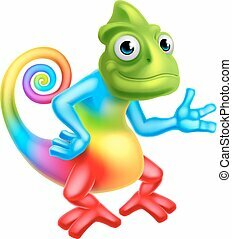 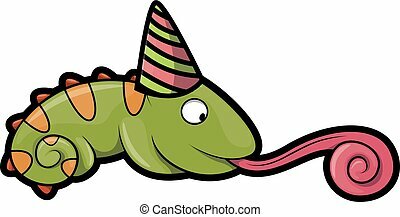 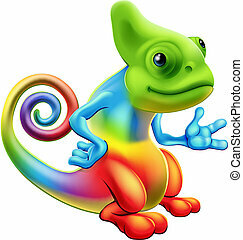 Cartoon rainbow colored chameleon lizard mascot character. 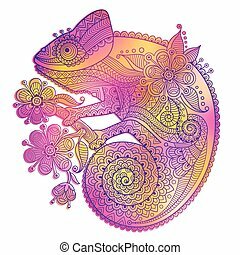 Vector illustration of rainbow chameleon and decorative patterns. 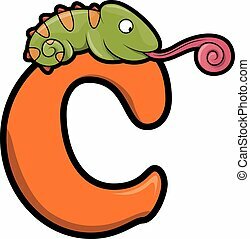 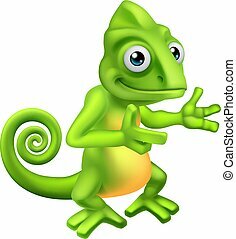 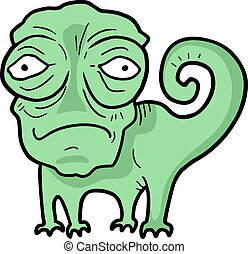 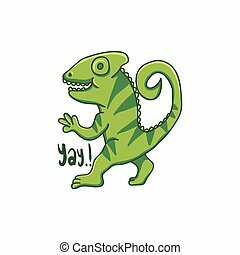 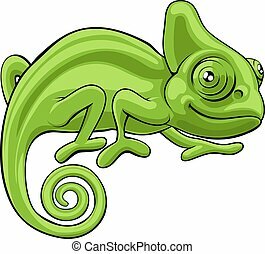 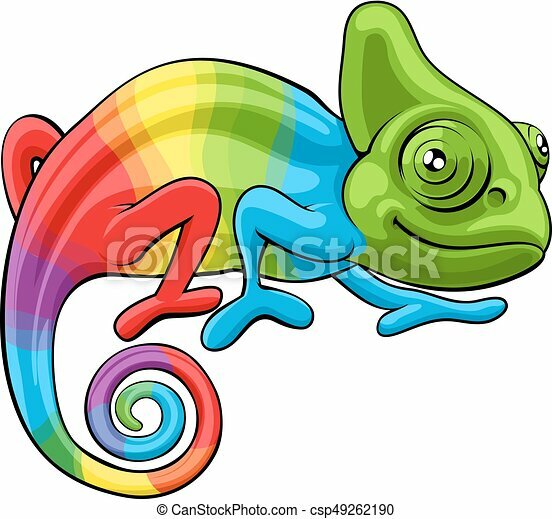 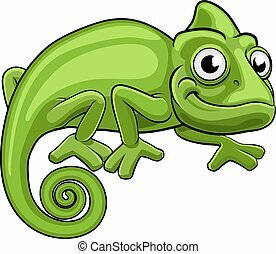 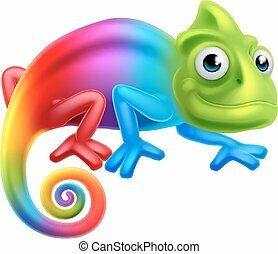 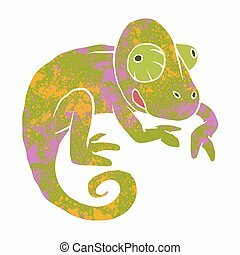 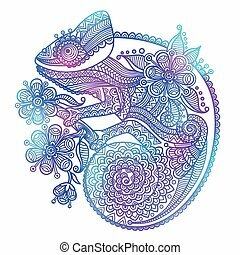 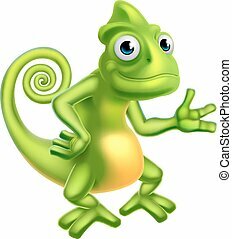 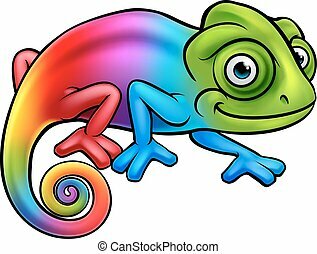 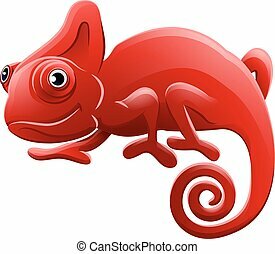 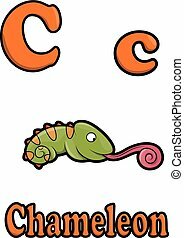 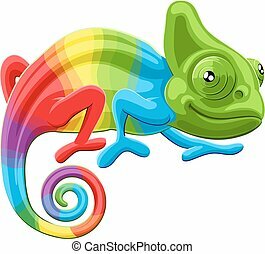 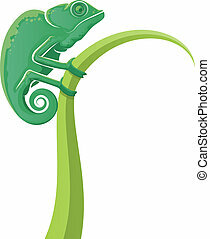 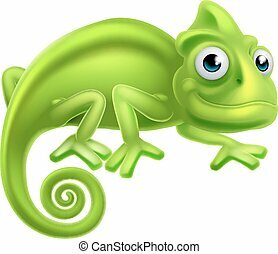 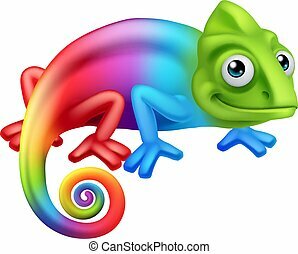 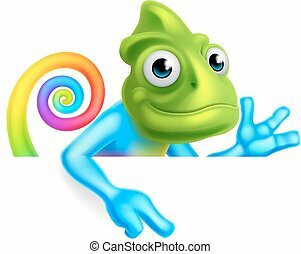 The outline vector illustration of a rainbow chameleon isolated on white background. 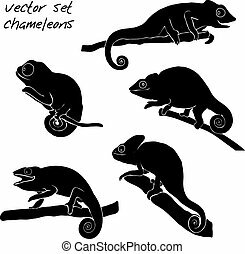 Set of black chameleon. 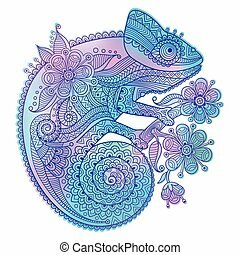 Reptiles sketch vector illustration for tattoo or printed. 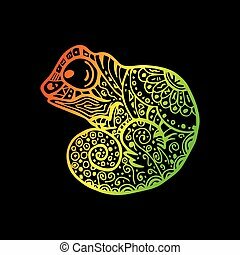 Collection of animals.